The perfect place for corporate retreats! The Multi Purpose Hall at our resort is the latest addition to our facilities. 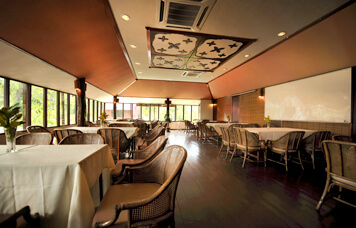 It can comfortably accommodate up to 150pax. Tables, chairs, microphones, whiteboards and projectors are all available. If you have any special requests, kindly send your enquiries to sales@payabeach.com and we will do our best to assist you. 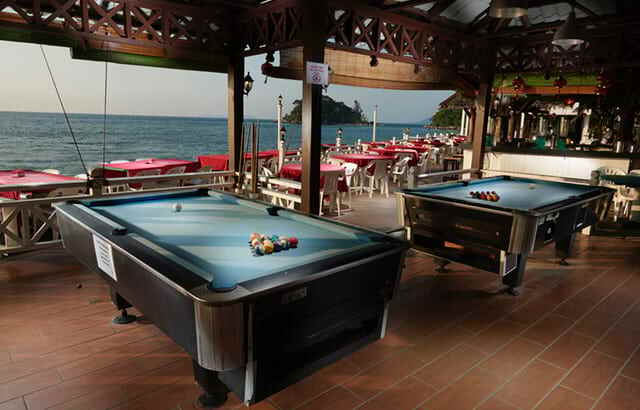 Our Tioman Hotel features two extravagant, yet eco-friendly pools that are situated at the deluxe rooms area. These pools are for the private use of the hotel's valued guests. We have one pool dedicated for scuba diving and snorkeling lessons while the other is reserved for swimming purposes. You may also lounge at the poolside and sip your favorite beverage while bonding with your loved ones. Elegant and cozy monsoon rainforest scenery at our resort’s meeting and conference room serves as the perfect spot for your corporate events and social functions. 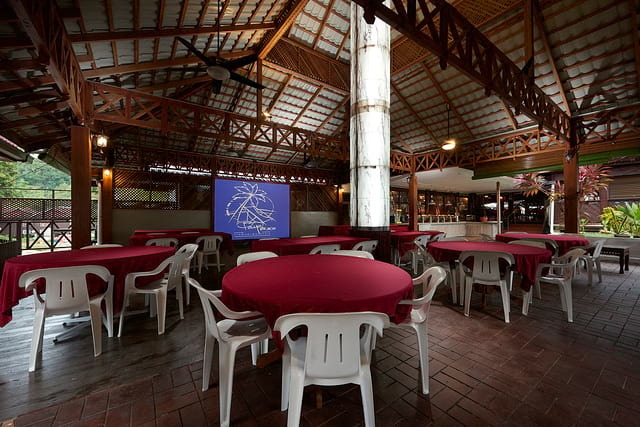 Whether you are planning for team building activities or a brainstorming session, you can book the multi purpose hall at our Tioman hotel, which can hold as much as 60 individuals. 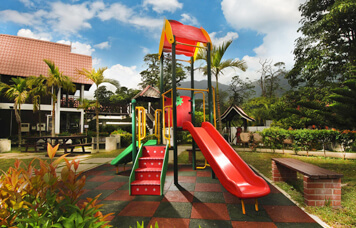 Take your children to our Tioman Hotel’s playground where they can spend hours enjoying themselves as they explore play areas with the whole family. The playground is ideal for children between 5 and 12 years of age. However, be sure to supervise your kids at all time to ensure their safety. Situated right in front of the beach, you will be able to experience al-fresco dining while basking under the stars. At Paya Beach Spa & Dive Resort, you can also choose the freshest seafood that is cooked just the way you like it, accompanied with your favorite beverage or wine. The Beach Bar is opened daily from 5 pm to 1 am. 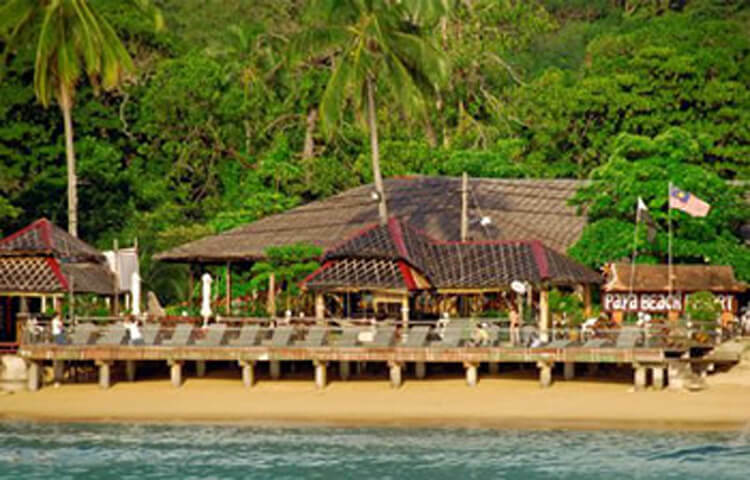 Our main restaurant at Paya Beach Spa & Dive Resort is the Rama Rama restaurant. It features an invigorating ambience that adds to your dining experience as you witness the fascinating views of the South China Sea while savoring the goodness of Western or Asian cuisine. 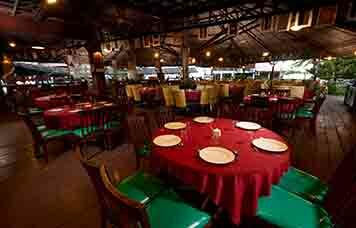 Furthermore, we also offer traditional menus such as Thai Spicy Tom-Yam Soup and a wide array of Chinese stir-fry recipes. As darkness comes to another perfect day, soak up the spectacular scenery with a cooling cocktail or a fresh fruit juice and watch the sun sink while the cool breeze washes your cares away. Apart from enjoying duty free drinks & beautiful sunsets at our resort, you can enjoy your evenings with a round of pool or electronic darts with your friends & family. At our Tioman Hotel’s duty free shop, you can take your pick on the finest traditional handicraft and fine apparel for your souvenirs. 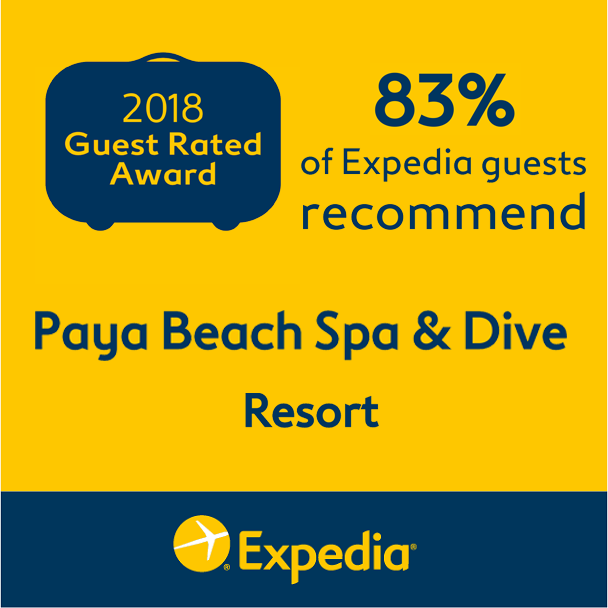 Paya Beach Spa & Dive Resort’s duty free shopping lets you choose from world-renowned spirits and champagnes, cigars, tobacco, sweets, perfumes and cosmetics at highly competitive prices. 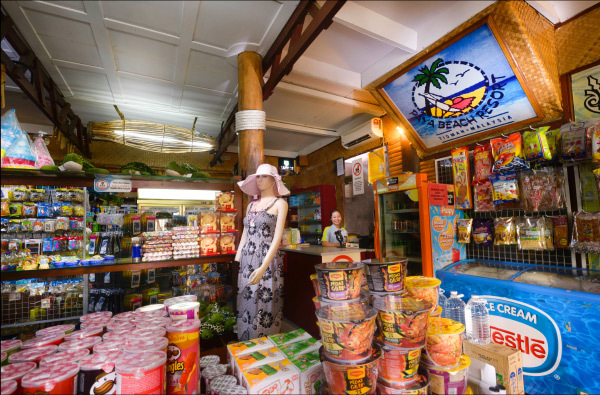 Indeed, our resort’s duty free shopping is one of the highlights of your vacation before you leave Tioman island!